Faiza Mujahid’s music is not about numbers. Since her coming-out party, with the film Khuda Ke Liye’s soundtrack, she says her work ethic has evolved more towards relating to the music she makes. There was a time when she wanted to make music for herself, to release albums and singles. Today, however, that is not the case and she has come to terms with that. “There was a time when I wanted to make music my bread and butter, but I realised that there is no music industry to speak of, it caters to people who have already made it,” Mujahid tells. 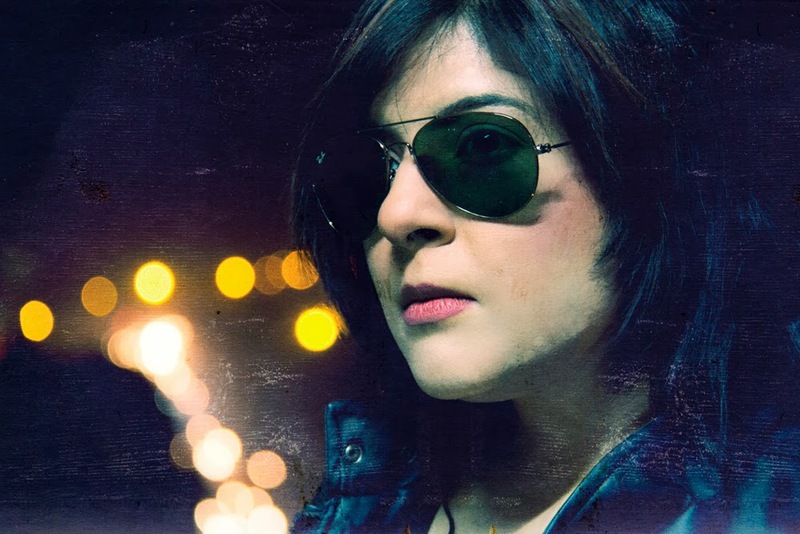 It’s been three years since Meri Zindagi was released, which presented her as one of Pakistan’s ultimate rock chicks. The song was very personal to her and seemed to connect well with her own place in life and her search for independence. She laughs and says that she was in her 20s and going through a time when she felt that women in our society have a set timetable. The song had the sort of success that she didn’t realise would happen. “It was really interesting because of the type of responses I got. There were many young girls and women who emailed me about how the song had given them motivation,” says Mujahid. That’s why her latest single Uth Oye is interesting. It doesn’t necessarily move beyond the phase of her 20s but it engages with, and tries to bring about, a sense of positivity to the picture. After three years in the shadows, Mujahid is restructuring her career priorities, and is approaching music in a different manner. “People are always so negative. My idea now is that even if you know about the negative things, you should be thinking positively and being positive,” says Mujahid. Uth Oye has a sort of anthem feel to it, and the video tries to articulate Mujahid’s positive frame of mind. The song is written and composed by Haider Hashmi, a good friend of Mujahid’s. The singer gave Hashmi full freedom to use his words to express what she was feeling. She says the experience has been fulfilling, since she is now making music on her own terms. The video showcases the stories of three females who have touched people on many levels. Take for instance Farah Deeba, the 26-year-old who started an initiative to educate and provide schooling to underprivileged children at the tender age of 20. Today, her institute Alam Bibi Welfare caters widely to the underprivileged. The video also shows Sabira Sultana, a former burns’ victim who is now a patient coordinator at Depilex Smileagain Foundation. Sultan has overcome trauma to provide inspiration to many other women. Haider Hashmi, who is best known for his cornerstone role in the band Aaroh, which is also making a slow comeback, said “I felt that the feeling had to be one of hope or umeed, since I had wanted to write for women who have to struggle so much on a daily-basis, so the idea was to portray the feeling that you cannot let anything bring you down,”. He also disclosed that he would be working on more projects with Mujahid, and that they had already penned a number of other songs.